A lot has been said about the benefits of reading to your child, how it improves their vocabulary and literacy, makes them keen readers and also how it is a nice way to spend time together. There are so many children’s books out there and as a parent it can be overwhelming to pick one up especially if you are buying one for your own child or as a gift. Here are my 10 favourite children’s books so far. I have to say that this list is totally based on my toddler’s preferences and excitement when reading each book, as well as the fact that they are the ones that I don’t mind reading over and over. Even though all of these are English speaking books I usually translate them into Spanish as I read them aloud. Find the green sheep searching through beautifully illustrated pages whilst showing your little one about colours, places and opposites. We love reading this story just before bedtime and my daughter loves pointing out at the different words she is learning. I find this book so charming. This story is told by a little girl who is telling us all about her friend, the hippopotamus, who is on her roof eating cake. He also does a lot of many things like watching TV, riding his bike and going to work. The copy we have at home was signed by Hazel Edwards herself! Any book that encourages a toddler to go to sleep has my seal of approval. It is time for those chickies to go to bed, but not before they drink their water, go potty and read a story. The illustrations are very cute and when I read aloud I also say that it is bedtime for my little one. It is a short and sweet story that hopefully helps ease your little one into bedtime. This is also a very cute book with lots of babies from different places. It is a great way for your child to learn about their hands and feet. It rhymes beautifully in English and easy to translate on the go into Spanish (without the rhyme of course). My daughter’s favourite pages are the ones with the little hands and feet, as you can see it is a bit wrinkly as she just loves comparing her own hands with the ones in the book. Little bear is a bit rough and he tends to forget his manners, but Daddy Bear comes up with a plan. This book is a good size if your little one is a bit older as the story line is a bit more complicated. If you can’t read all of the story at once do not worry about it, you can still point at all the cute animals and toys in the story. Before even having kids I always wondered why did I see this book being sold everywhere? But really, how can you go wrong when you have a beautiful story about a butterfly’s life cycle that combines, food, numbers and the days of the week? No wonder it is a classic to have in every child’s bookshelf. This is part of a book series about a baby’s life moments. In this particular book, the cute baby is being chased by the Tickle monster! It is relatable for toddlers and it is a great way for your little one to learn the name of body parts while you tickle them! Good fun for you and your little one! WARNING: Do not read before bedtime. A very clever dingo caught a wombat and he is going to make a stew with it! Oh no! Can his friends save him? Australia has an awesome fauna and what better way to show your kid about it than with a great story. 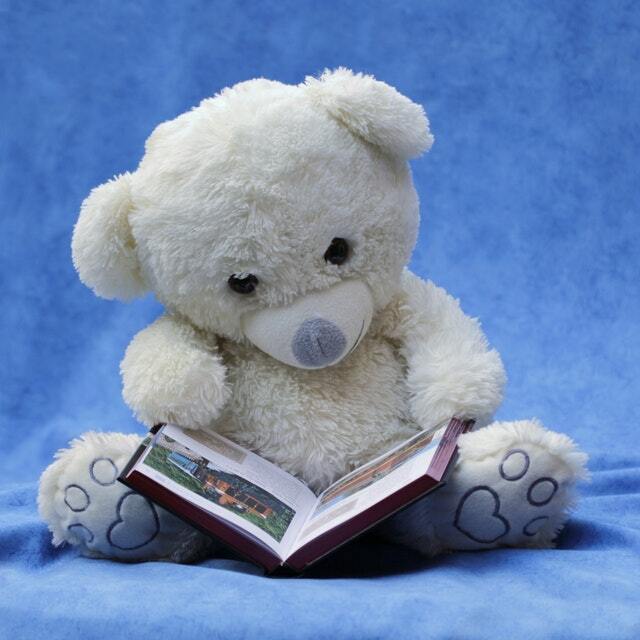 It probably is a bit long for little little ones and you will enjoy reading a story with a bit more words. For this particular book I never translate it as for some reason I find it very difficult and I think I enjoy having a go at my best Aussie accent! This book was actually given to my husband when he was a child. It is about a little boy, Paul, who finds a very large egg that turns out to be a pelican. Paul now has to teach it to help at the farm. This book is also a longer story for tiny toddlers, however, we like this book because there are half pages that uncover a different picture. The story is very clever and my baby enjoys pointing at all the water and animals in the book. I am not sure if this one is still on sale as new but I have seen it for sale used on Amazon. I have been reading recently that exposing children to numbers from an early age can help them with math at a later stage. A little familiarity with numbers won’t hurt them and you will also have fun if you find a book with cute illustrations. I really like One Woolly Wombat by Kerry Argent or I love my 1 2 3 (Ollie) by Anna Walker. I hope you enjoyed this list and that it makes you excited about reading to your little one. How about you? What are your favourite book for little toddlers? Leave us a comment here or on Facebook. Para leer la versión en español haz click aquí. Learning the letters of the alphabet and identifying how they sound, are the first steps to start reading. If you want to help your kids to learn new letters, here are 7 tips so they can learn them. It is very important to remember that toddlers can’t be still for long and that they need to have genuine interest in the activity. The idea is that they learn while playing. You can use the usual melody or a new version, sing it together many times. Repetition will help your child remember the letters. 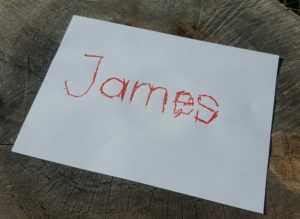 Your child will love learning how to spell their own name. 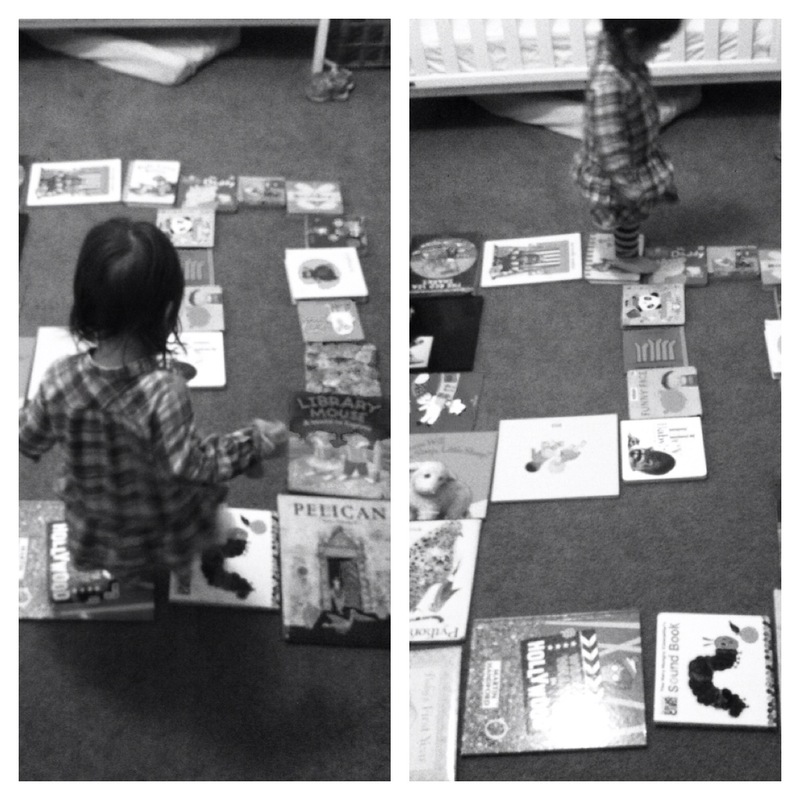 You can start little by little by showing the first letter of their name in different books or sounds. You can write down their name when you draw together in different colours while repeating the letter aloud. Very soon, you will hear them say “J for John!”. You can do the same with other words like “M for mum (mom in American English J), “D for dad”, or any other word that relates to anything that your child finds interesting, like dinosaurs or animals. You can form words by drawing dots so your little one can join them. Colouring in letters and a picture that starts with that letter. This is a quiet activity that you can do together. You can start with a few letters at a time, two or four, depending on how long your child can focus her attention. I made this animal alphabet book colouring pages which you can download here. Also, you can find many other alphabets to colour in on the web depending on what your kid is interested in. You can play I spy, especially when you have to wait. This has worked well for us when we are driving. Here I give you the Spanish versión which is called “Veo, veo”. You can see how it works with the following YouTube link. When you are in the street, you can point to letters in a big sign. For example, “F for Fatima”. Reading will always be one of the best ways to learn the letters of the alphabet and its sounds, especially when your kids show interest in letters. 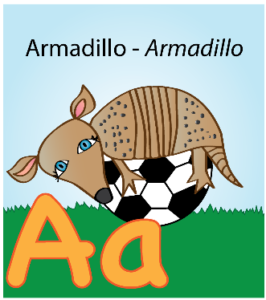 There are many styles of alphabet books either in English or Spanish. Some haver ryhmes, some have textures, some have sofisticated illustrations. You can pretty much find an alphabeth book for every taste. If you are looking for alphabet books just in Spanish, this is a great list to start. 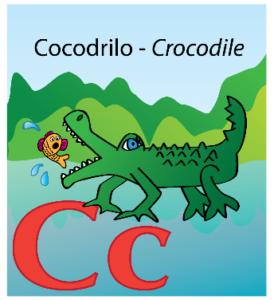 If you are after English only alphabet books, you can have a look here. I hope these tips have inspired you to play with letters and help your toddler to learn them in a fun way. If you want to share a tip that I did not include here, feel free to include them in the comments below. I just wanted to share the read aloud of my first book ‘Millie goes to space’. I hope you and your kids enjoy it!